Visitors to the Lake District can capture all the nostalgia of a bygone age this summer, with the re-creation of ‘The Grand Circular Victorian Tour’. The tour was regularly used in the 1860s to integrate steam and boat services in and around Coniston and Windermere. Now, it is being brought back to life by the National Trust, with support from the ‘See More’ sustainable transport programme. 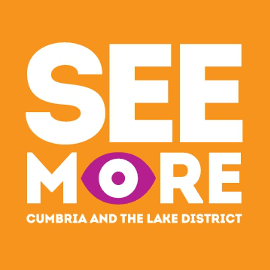 The Grand Circular Victorian Tour is being supported with funding from the See More sustainable travel programme; its Small Grants Fund aims to develop and promote easy, accessible visitor transport across Cumbria. Tickets for the day-long experience cost £110 per person. Minimum group of 10 people and maximum 30. To book, contact The National Trust on 015394 32733. 1. Helping international visitors to use buses, trains and water transport, as well as walking, cycling and hiring low emissions vehicles will reduce the impact of their travel on the local environment and community, while making their trip to the area more enjoyable and relaxing.